It is now possible to create completely new interior concepts when installing a Fischer Panda Hybrid Drive System. 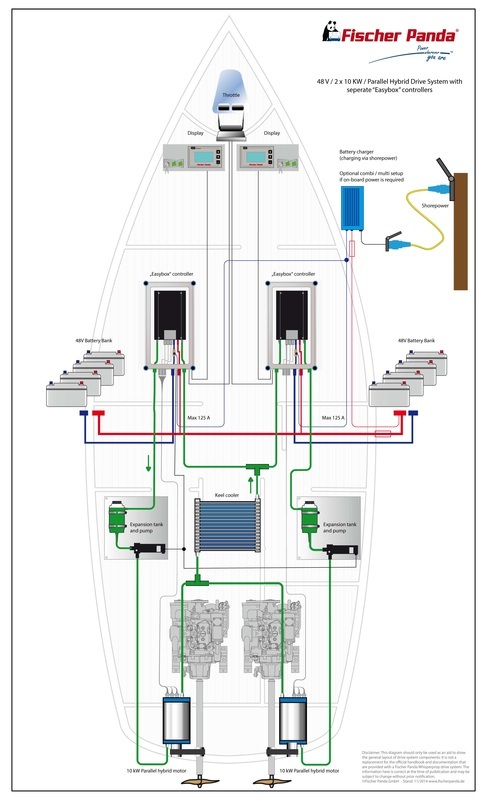 The position of both engine and shaft are already defined when constructing a vessel with a conventional system. 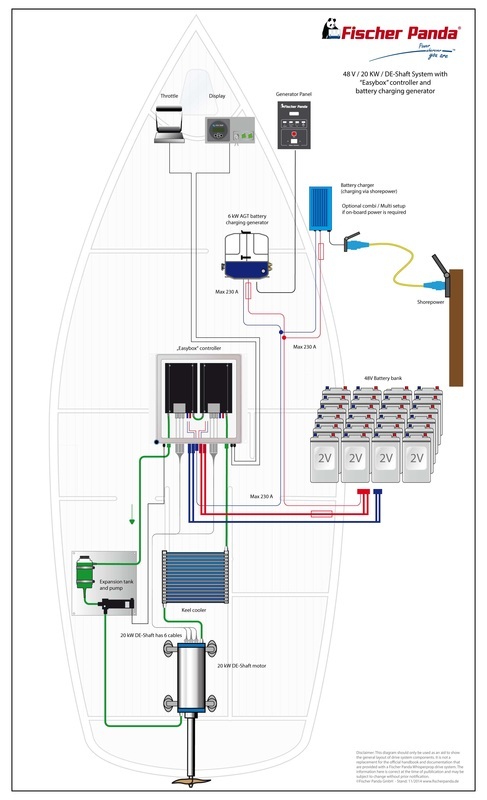 The hybrid system is far more flexible - mechanical components are connected using flexible electrical cables. 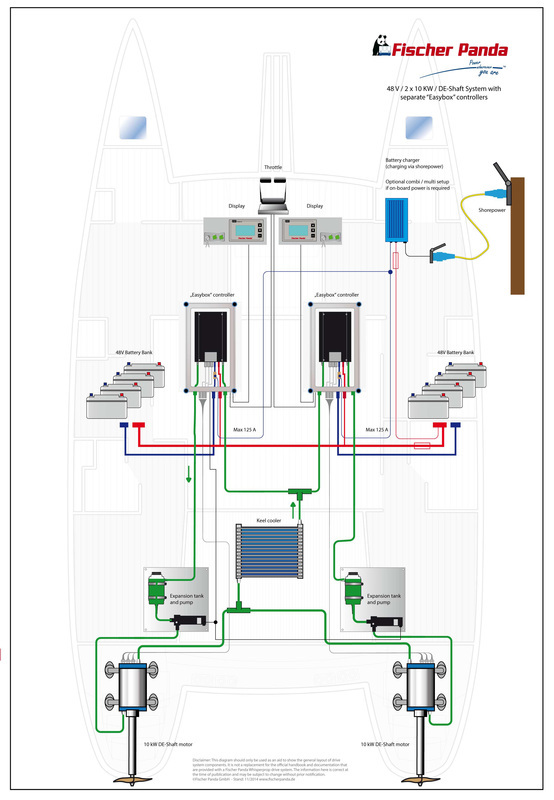 The system can be distributed throughout the whole boat - wherever space is available. This gives you a far greater range of layout variations. Completely new design concepts can be realised with the idea "cable replaces shaft"
Power on board is a true luxury, and it needs to be available (in ample quantities) at all times. Do you want to use (ideally all at the same time) your laptop, TV, air conditioning, coffee machine, refrigerator, freezer and the oven? This is not a problem with a diesel-electric drive system from Fischer Panda. Using powerful generators and a suitably sized battery bank - "Power in abundance"- is available. All the domestic electrical consumers are supplied with 230 volts AC pure sine wave via an inverter. A power supply - just like you would expect at home.